Rejoice, O Nicholas, Great Wonderworker! 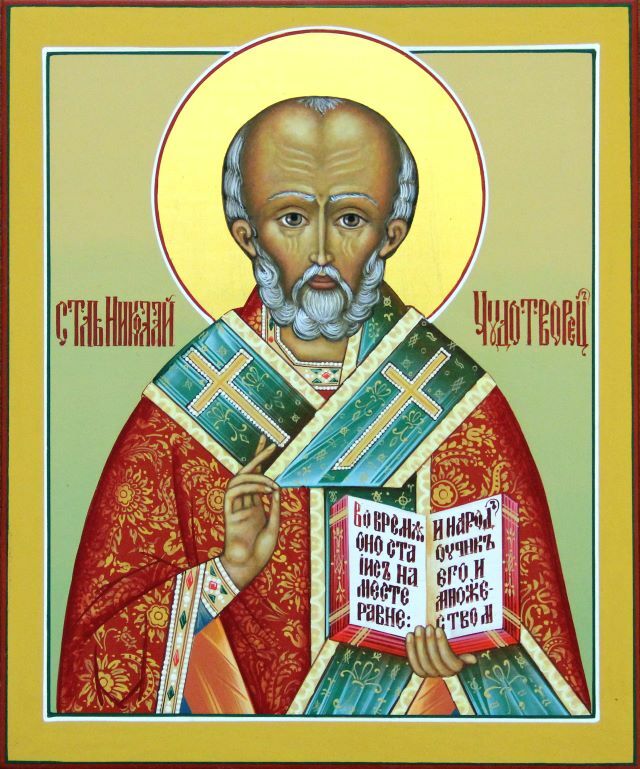 On May 22 the Orthodox Church celebrates the memory of St. Nicholas the Wonderworker, one of the most revered Christian saints. On this day we remember the translation of his holy relics to the Italian city of Bari, where they remain to this day. In the Orthodox world it is difficult to find another saint as revered as Nicholas the Wonderworker. Everyone turns to him with reverence and awe: the simple and the learned, the believing and the unbelieving, even many Muslims and Buddhists who are alien to Christianity. The reason for such massive veneration is simple: the prompt, almost instantaneous help from God sent through this great saint’s intercessions. Anyone who has turned to him in prayer with faith and hope will certainly know this. The Life of St. Nicholas is quite modest and, in fact, we know very little about his earthly life. We know that he was a very pious presbyter who later became the bishop of the city of Myra in Lycia; we know that he fearlessly stood up for those innocently condemned to death; and we know that his secret but generous almsgiving saved three poor girls from dishonor and disgrace. 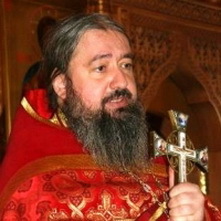 It is also known that at the First Ecumenical Council, during harsh disputes, the zealous hierarch smote – or, to put it in modern terms, hit in the face – the impious but skilled debater, Arius the heretic. This fact, in and of itself, does not square with Christian love and humility – but only at first glance. This, however, is not the subject here. 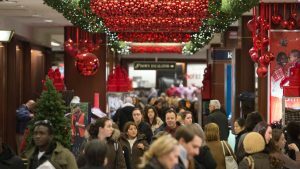 Thus, against the background of such meager facts about his life, we see the overflowing volumes testifying to the innumerable, great miracles that have been performed from the death of St. Nicholas all the way up to the present day. Here it is necessary to remember that the Lord Himself commanded us to hide our good deeds from they eyes and ears of men. It goes without saying that St. Nicholas heeded this commandment and that it was only thanks to the fortunate blunder of the saint and the native wit of the father of the three sisters mentioned above that we now know how, concealing himself under cover of night, as the life says, the saint tossed bags of gold through the poor girls’ window, thus ensuring their blameless future. Lacking the boldness to retell oft-described, well-known, and literary-constructed miracles, I want to tell you about a miracle that took place in my family through the intercessions of St. Nicholas, which was as speedy and striking as any of the miracles he has performed. 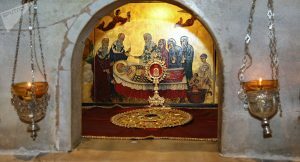 A few people close to me know about this miracle, and last winter I spoke about it in a sermon on the saint’s feast day in my beloved Three Hierarchs Church in Kulishki [Moscow]. I hope that you, too, will find it interesting and beneficial. “Yes, in the church,” I said. I probably cannot describe the feelings my wife and I experienced. One needs to think about it for a long time, like thinking about poetic verses. We again halved the money in the same way and lived comfortably for another considerable period of time. Then I became a deacon and priest and life took a completely different turn. 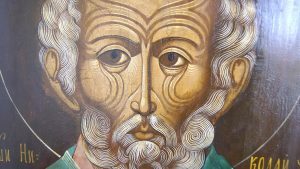 But to this day – and, I hope, unto our death – my matushka and I treat the name of St. Nicholas the Wonderworker with love, fear, trembling, and delight. Through his intercessions, on this day of his holy memory, and every day, I wish you all salvation and help from God and protection and consolation in every affliction, sorrow, and misfortune. I believe that this great saint will wipe away every tear you shed with his omophorion, support you with his right hand, lift you over every ruinous precipice, and warm with the fire of his heart those sinful, weak, but faithful souls that are chilled by the cold winds of this age.